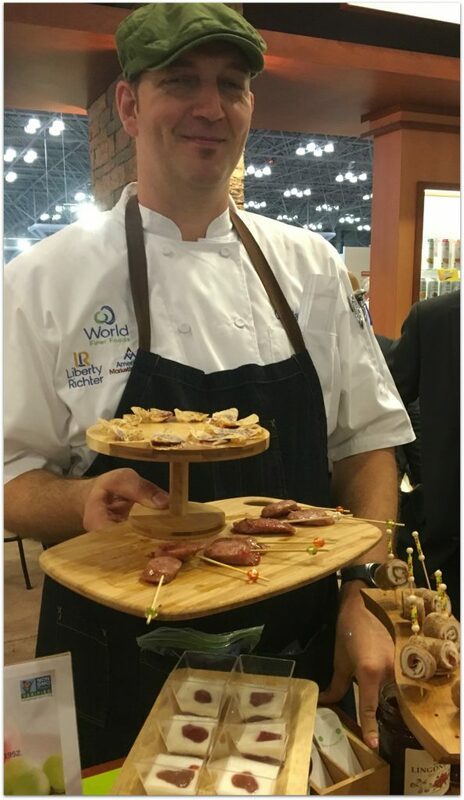 I participated in Mom Blog Tour at the Summer Fancy Food Show on behalf of Wendy’s Bloggers and received Felix products to facilitate my review. 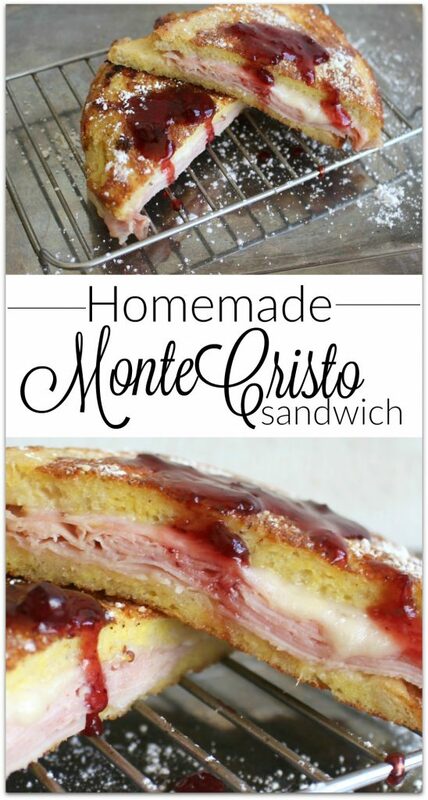 My daughters discovered the Monte Cristo Sandwich at a waterfront restaurant we found when we moved to Florida. As large as the menu is (seriously, it’s like a book!) all they want is the Monte Cristo. They discovered it when they were 13 and 10, and still would rather have it than anything else on the menu, even at 17 and almost 20. 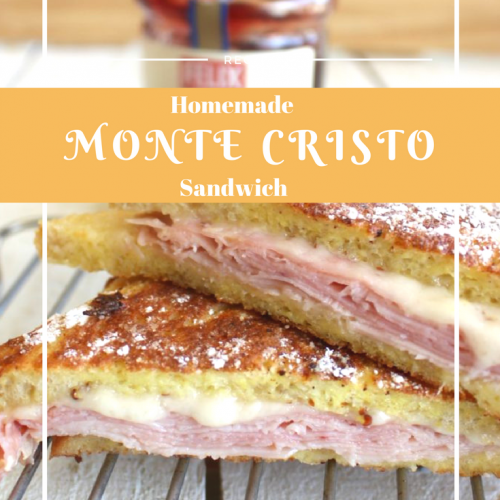 If you’ve had the Monte Cristo Sandwich, you know it’s made like French toast. 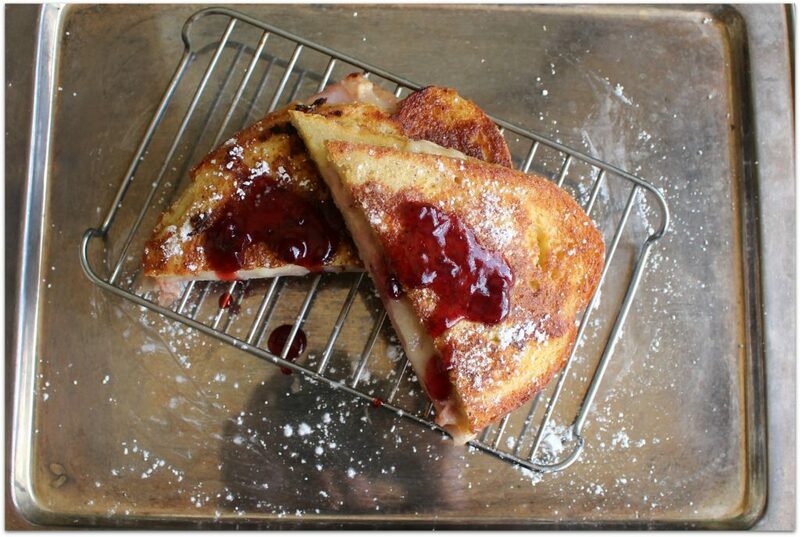 Slices of ham and Swiss cheese between two slices of bread, dipped in egg batter, browned, and sprinkled with powdered sugar. To top it off, there is a dipping sauce. My girls always ask for extra! 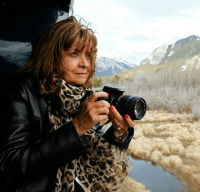 When I was in New York City a couple of months ago at the Fancy Food Show with the Mom Blog Tour, I had the pleasure of meeting with the team from Felix Jams. 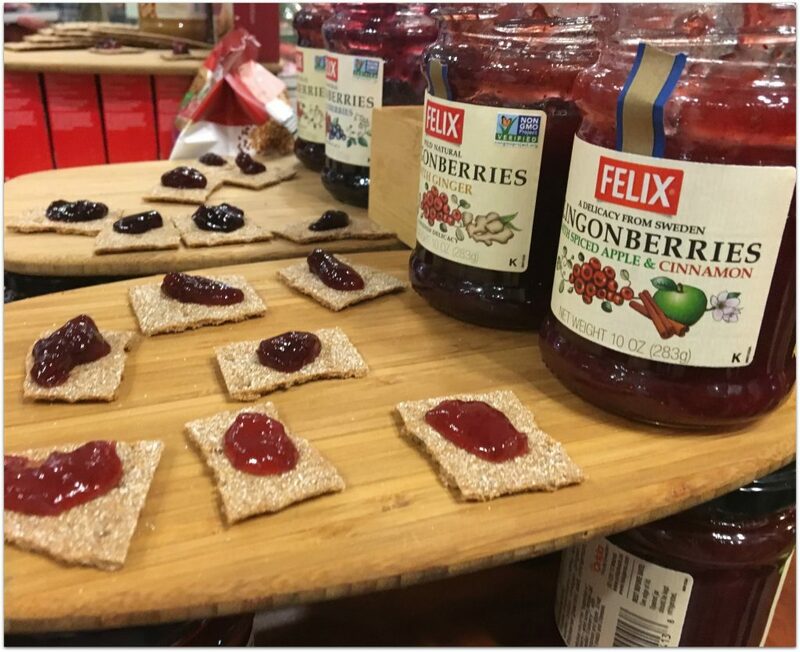 Owned by one of Sweden’s largest food companies, Orkla Foods Sweden, the history of Felix Jams goes back to the 1930s when Herbert Felix joined a small factory that produced vinegar. 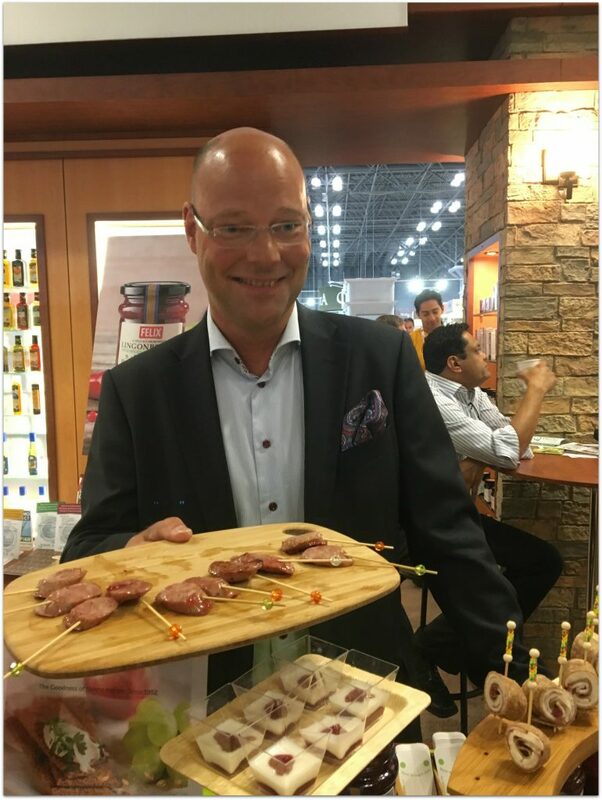 His passion for preserves was the beginning of Felix Jams, and it is one of the most renowned companies in Sweden today. that can be used in so many different recipes! You can trust me when I say I tried every one! So delicious! And one of my readers said he loves Felix Jam in his meatball recipe! Can’t wait to try that one! 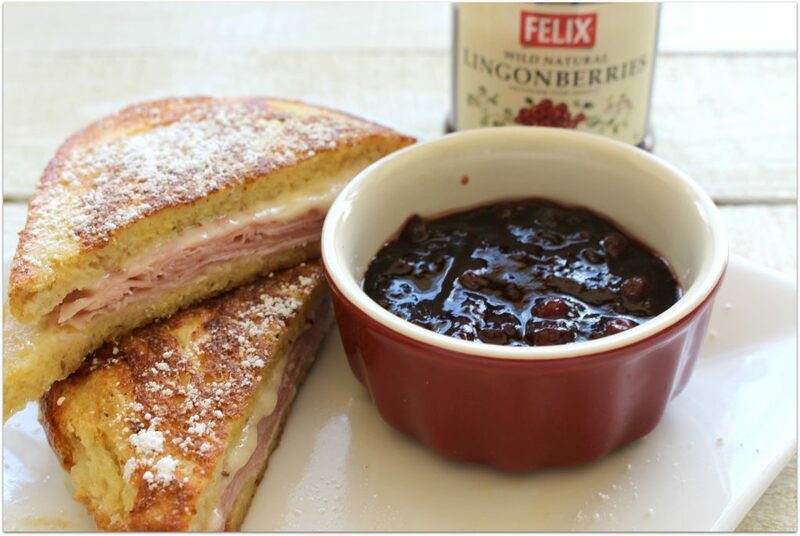 Enjoy this recipe I created for a Monte Cristo with Felix Lingonberry Jam, and scroll down to enter to win a package so you can try all the different varieties! Add milk, salt, pepper, and nutmeg, and mix well. Place sandwiches in egg mixture, soaking just a little of the mixture into the bread. Don’t leave too long or you won’t have enough for second sandwich! Remove from pan and place on paper towel to blot excess butter. You can also just drizzle the jam before serving. So yummy! Scroll down for a printable version. Ready to try Felix Jams? 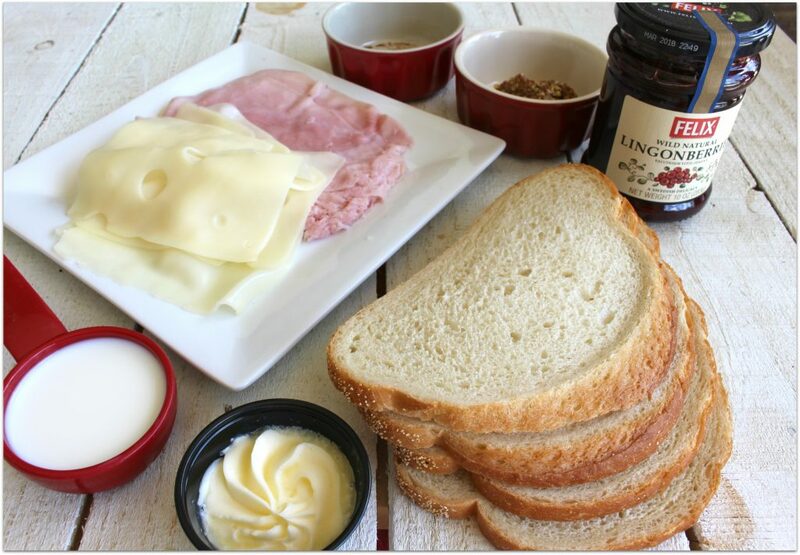 Check out their map to see a store near you that carries this Lingonberry deliciousness! 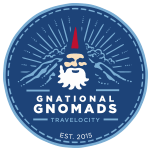 If you like this post, please pin it by clicking on the P for Pinterest! This way others can see it, too. I’d SO appreciate it! 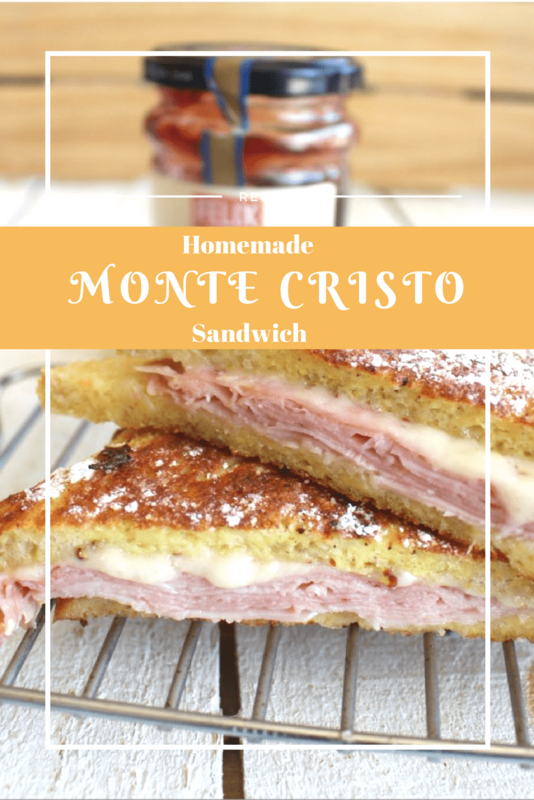 If you've had the Monte Cristo Sandwich, you know it's made like French toast. 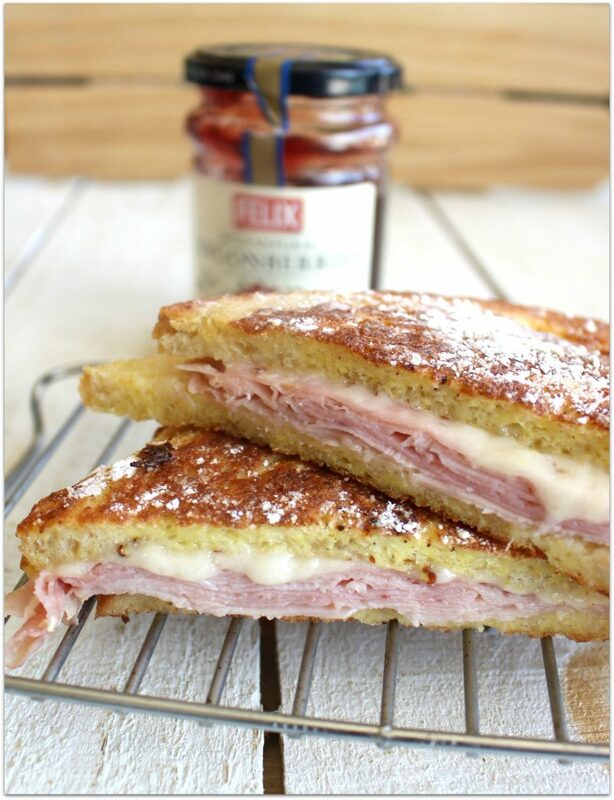 Slices of ham and Swiss cheese between two slices of bread, dipped in egg batter, browned, and sprinkled with powdered sugar. To top it off, there is a dipping sauce. Don't leave too long or you won't have enough for second sandwich! Serve jam on the side for dipping or drizzling. Thank you to Felix Jams for sponsoring the #MomBlogTourFF! I’m looking forward to trying the Lingonberries with Blueberries jam! The Lingonberries with Spiced Apples and Cinnamon sounds delicious. My mom was just telling me about these sandwiches. I’ll have to try it! Looks delicious. That sandwich looks scrumptious!! love the sweet & salty combination. I want to try the Lingonberries with Blueberries jam.